I recently became aware of hygge and how it affects your way of life as well as your home and I wanted to share it with all of you! You may be asking, “what is the meaning of hygge?” So let’s start there. One of my favorite sources on this topic is HyggeHouse.com curator, Alex, and she describes Hygge (pronounced hue-guh) as “a Danish word used when acknowledging a feeling or moment, whether alone or with friends, at home or out, ordinary or extraordinary as cozy, charming or special.” Another definition is “an art of creating intimacy either with yourself, friends, or your home.” Some of the words to describe hygge are coziness, charm, happiness, security, familiarity, comfort, reassurance, kinship, and simpleness. 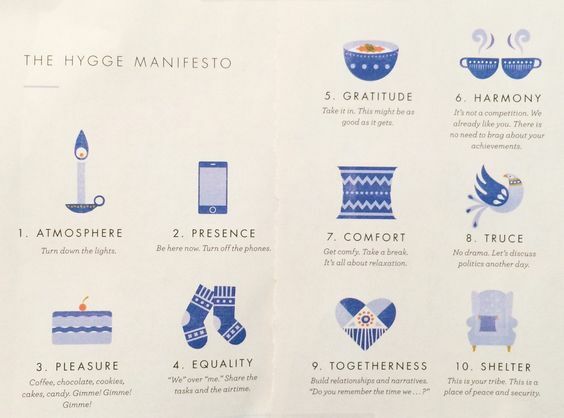 Hygge is about being aware of a good moment and creating simple rituals that cause these good moments to occur. While the word is meant to encompass the Danish way of life, it can also embody decor. It can be very tempting to have your home look like the cover of a magazine but most people realize that hygge is missing. Your home should reflect the fact that it is filled with family, friends, and history. When people walk in the door, they should get a “I love to live here” vibe. We turned to Decorilla to get some ideas on how you can Hygge your home. We chose our top five, but you can see the full list here. Cozy up your space with lighting. Lighting can set the mood so choose something that you love whether that means candles, lamps, or fireplaces. Add soft cushions and large blankets. Make sure when you are relaxing on the couch you are comfortable and cozy. Let in a little wabi sabi. When I first read this tip, I was not sure what it meant but now that I do, I love it! What this means, is that design does not need to be perfect, so value the pieces that you have. Personal touches and knickknacks can bring back memories that make you smile. Create a spa-like bathroom. Make your bathroom an oasis. It should not just be a place you get ready in, it should be a place where you can relax and escape. Add a plush rug for your feet to cozy up on and make sure you have a bathrobe in arms reach. 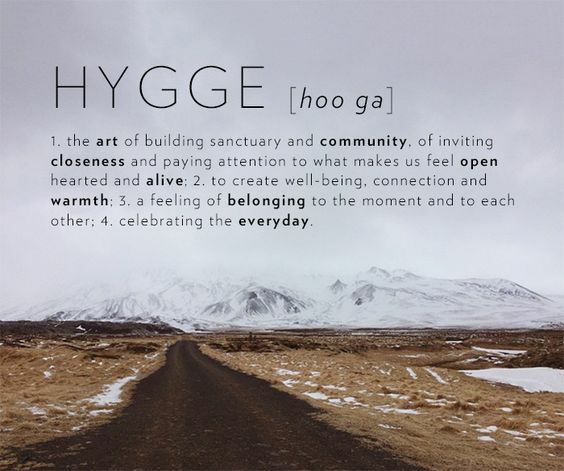 I hope as you go into spring you can incorporate hygge into your life and home. If you are ready to find a new home that better fits your lifestyle, I would love to help! Give me a call at 919-961-3277.